SAP BusinessObjects Dashboards 4.0 Cookbook succeeds in providing “Over 90 simple and incredibly effective recipes for transforming your business data into exciting dashboards”. The book’s 10 main chapters cover progressively more complex topics, and its unique design presents step-by-step recipes for completing specific tasks. The possibilities for what one can accomplish with SAP BusinessObjects Dashboards 4.0 are indeed quite broad. The authors have done a commendable job in selecting their recipes to cover common use cases most designers will face. This approach allows readers confronted with a specific issue to skim through the Table of Contents for a relevant recipe and to then work through the provided example. For example, the first chapter provides some straight-forward but quite useful time saving tips for working with the embedded Excel spreadsheet within SAP BusinessObjects Dashboards. 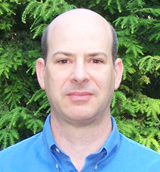 There one can quickly learn how to best use Excel’s cell formatting features. This is typical of the nice balance the authors provide. This brief introduction gives readers an appreciation for the possibilities for data manipulation and representation within the product, while leaving the exhaustive topics of Excel formulas, etc. to other reference materials. The middle chapters of the book cover recipes for using the variety of out of the box product components and present detailed coverage of topics including alerting, interactivity, and dynamic visibility. In the later chapters, one finds lessons for accessing dynamic server data. I particularly liked the recipe for accessing SAP BusinessObjects universe data from your own website or portal without prompting dashboard users to login. This lesson included both the necessary server side jsp code and client side html. Another nice feature is that the book is up to date with the SAP BusinessObjects Dashboards 4.0 release, and contains recipes for using Universe queries and directly binding query data to other canvas components. I have been working with the e-book version of the Cookbook and have been able to fully absorb lessons from many of the recipes by simply following along with the annotated color screenshots of Dashboard Design. The corresponding (xlf) project files available as a separate download are a very useful addition when working through some of the later more involved recipes. 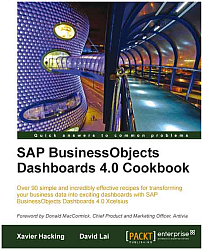 SAP BusinessObjects Dashboards 4.0 Cookbook is a recommended resource for a wide range of users. Dashboard designers new to the product as well as more experienced users will each find many useful recipes and gain an appreciation for extending these lessons to create their own best practices.